“Where is grandfather?” was the question I posed to one of his many grandchildren early on a Sunday morning. I wasn’t sure which one of the grandchildren I was asking, as there was a host of names which I couldn’t quite keep straight, but they all shared an unmistakable likeness to their family patriarch. Asking the question, I didn’t bother with the possessive pronoun “your” because the old man, as he’s called, had already stated that I had been adopted as one of his own. In rural Kenya that can mean he’s intending to come but hasn’t left the house yet, he has left the house and is awaiting a motorbike taxi, he’s halfway down the road and has stopped to chat with a neighbor, or he truly is in motion and perhaps is right around the bend. Nearly an hour later, we saw the familiar sight of his hat peeking over the crest of the hill on which Holy Cross Emmaus Lutheran Church is located. 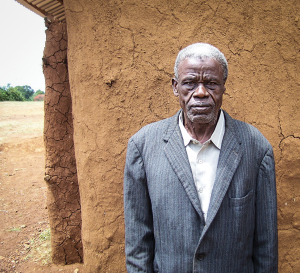 It’s a nearly half-hour walk from his hometown of Jaribu Kagoto to the church in Milimani, but he accomplishes it with relative ease in spite of being very chronologically gifted. 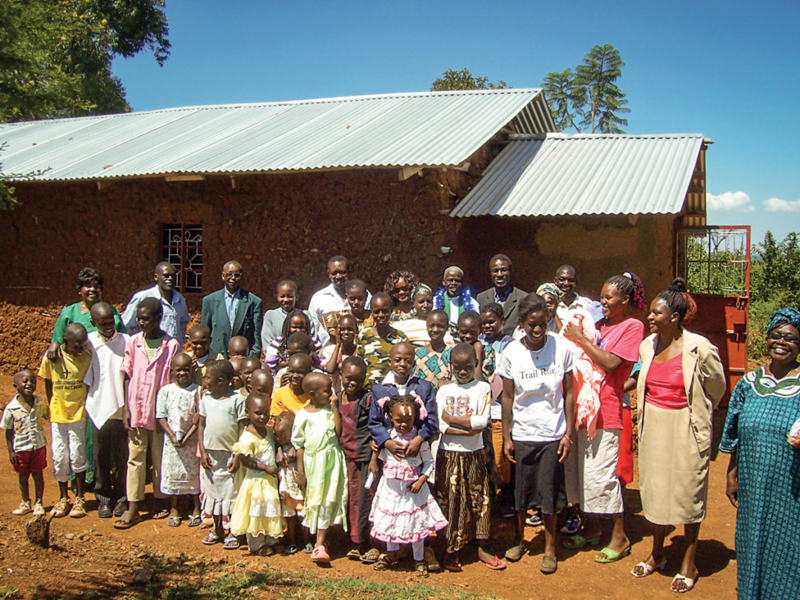 Samson Otieno serves as the head pastor of this relatively young church. Formerly a truck driver, he was forced to transition into subsistence farming after struggling with severe shoulder pain. It was Otieno who led the early prayer meetings when there was no church building, no school, nor any firm plans to build one. He helped to inspire the community to invest in a school for their children and to begin a church that was different from the others. He has been an example of humility in leadership that is a rare find in the Kenyan churches. 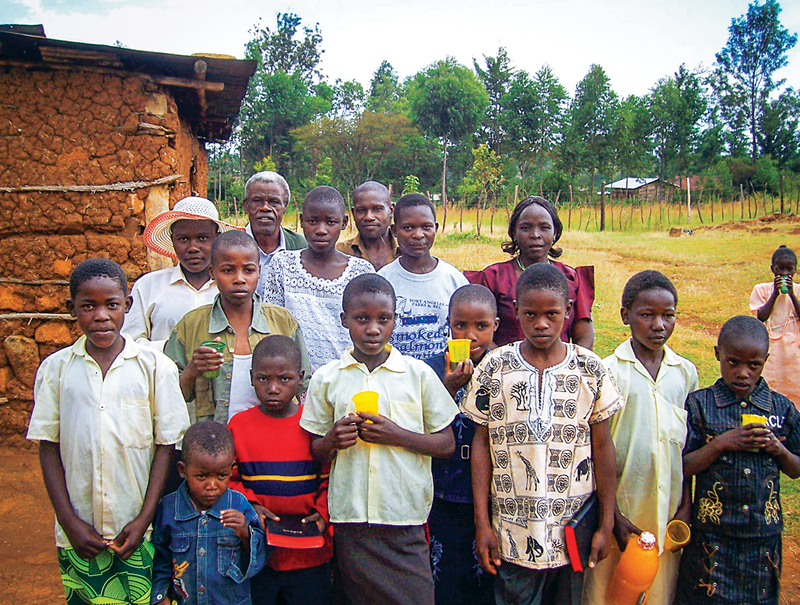 Otieno also has a gift of explaining Biblical teaching using illustrations that are easily accessible to his friends and neighbors living the same kind of rural village life. He has been a Christian nearly his entire life and has moved from one church to another as either his work or the leadership of any given church dictated. Otieno recounted that he had always before enjoyed the fruit of Christianity, but it wasn’t until he had the opportunity to undertake a thorough study of the Bible as taught in Luther’s Small Catechism that he came to know not only the fruit, but also the tree and the roots as well. He knew well the message of Christ crucified for sinners, but had never before had the privilege of a systematic study of the Scriptures, exploring the full counsel of God. For this, he has been very grateful. Our faithful God raised up this servant in the right place and at the proper time to shepherd this fledgling congregation assembled in Milimani. They initially came for a variety of reasons and from various backgrounds—including Catholic, Jehovah’s Witness, African Inland Church, and even Islam. 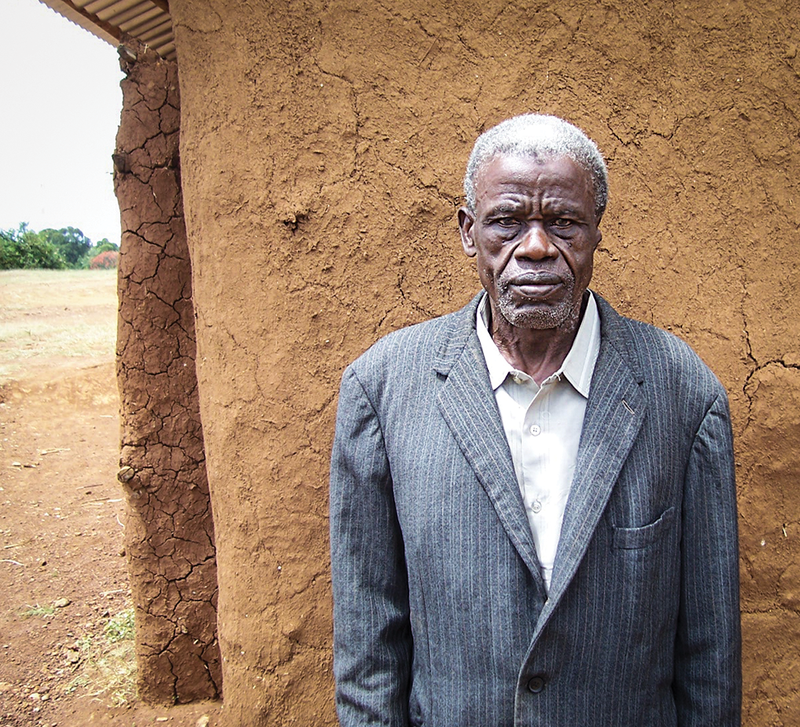 Some have gone, but many have stayed and have been blessed by Otieno’s faithful adherence to the Word of God. It is a privilege to work alongside of someone like Samson Otieno. Give thanks to God for him and pray for him, that he may continue to be able to serve as faithfully as he has been serving in spite of many physical challenges. Pray too that there may be one to follow after him who will take up his mantle and continue to walk in a manner worthy of this calling. 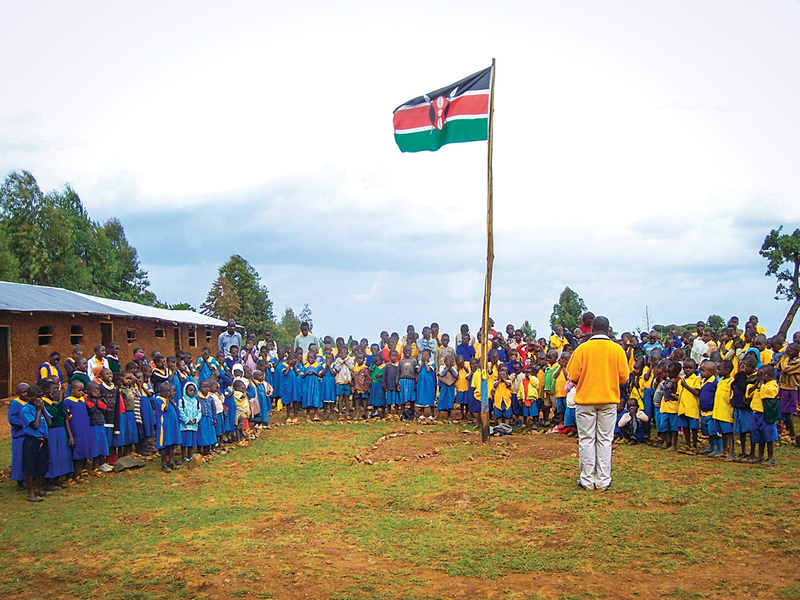 Michael Gurath is pastor of Holy Cross Lutheran Church in Phoenix, Arizona, and part-time CLC missionary to Kenya and Uganda.